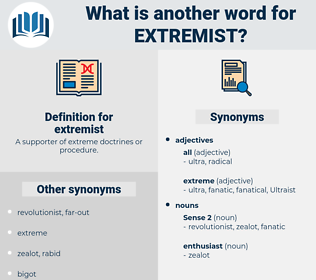 What is another word for extremist? A supporter of extreme doctrines or procedure. 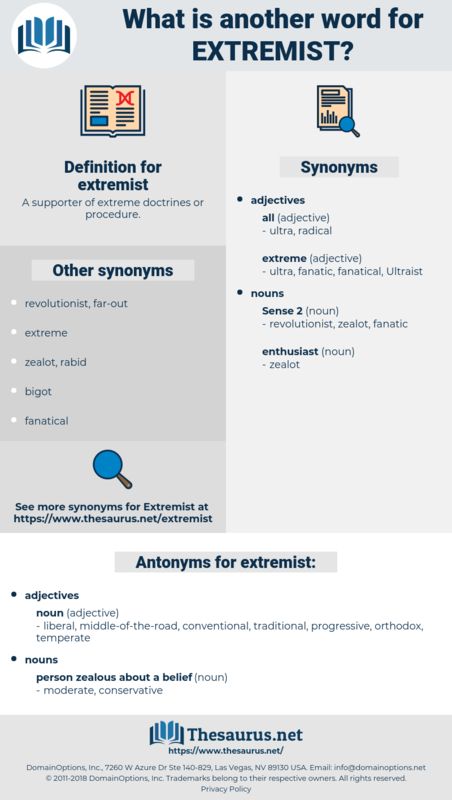 hard-liner, far-right, fundamentalism, hardline, fringe, extreme. liberal, middle-of-the-road, conventional, traditional, progressive, orthodox, temperate. You were always an extremist, George; you can't hit the happy medium.